Now taken hostage during a modern-day pirate raid, Scott and Emma fight for their lives and swim back to the last place on earth they want to return to—Dragon Island. Meanwhile, Harrison faces his fears and tries to thwart the pirates. Can the three young survivors stay alive and raise the alarm—and return home to their families? 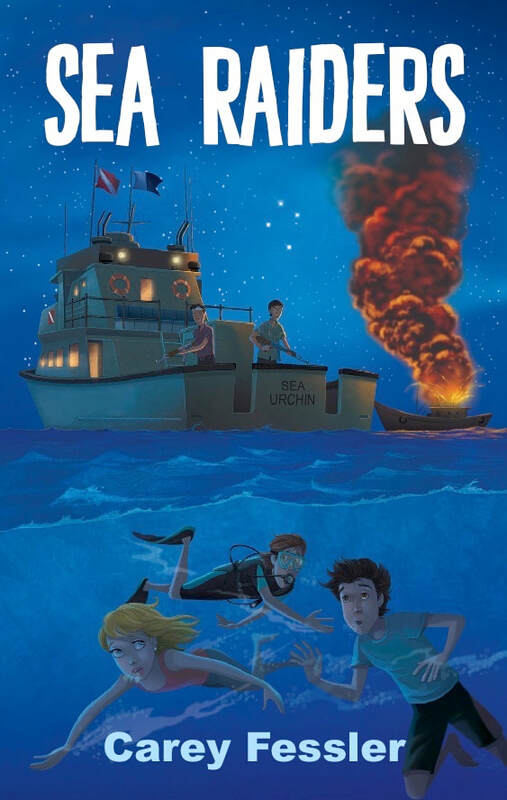 Set in a wild and dangerous location and with even higher stakes, Carey Fessler’s sea-island adventure forges ahead with this exciting sequel to Shipwrecked: Dragon Island.